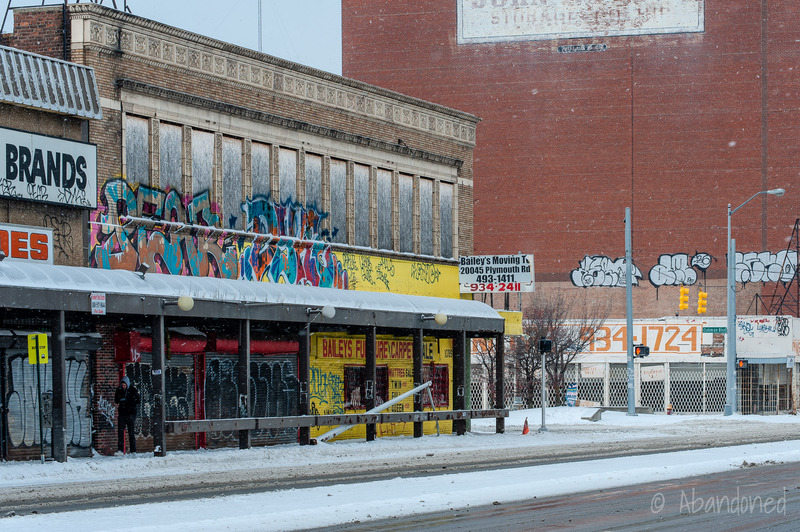 Along Grand River Avenue in Detroit, Michigan were several large and notable shopping districts which have fallen by the wayside. 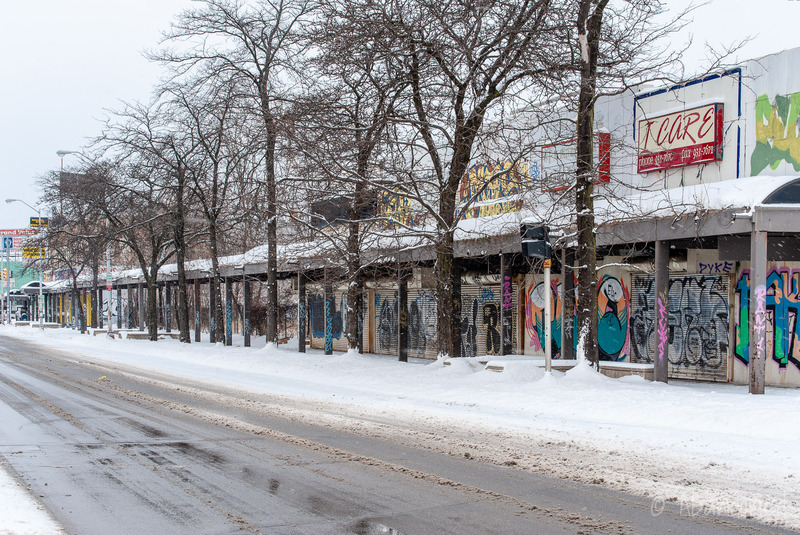 The Grand Meyer neighborhood is centered the Grand River Avenue corridor and borders a former shopping district along Grand River Avenue at Oakman Road. 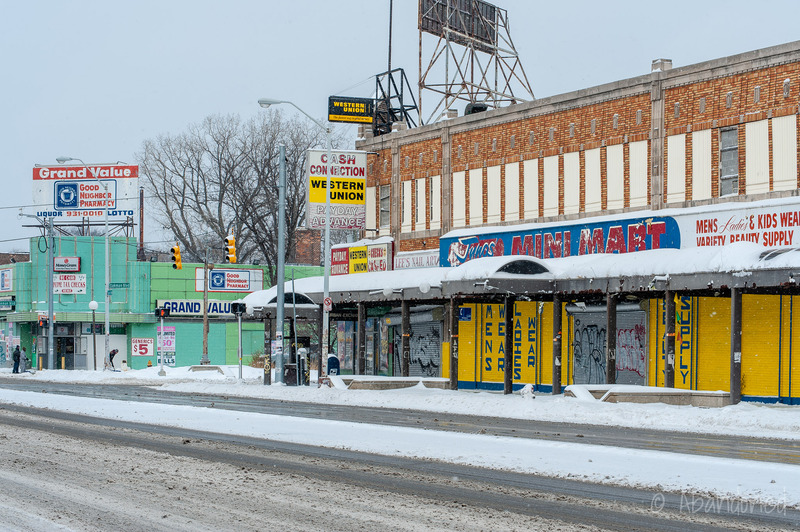 Due to racial tensions that cumulated in violent riots, industrial restructuring, the loss of thousands of jobs in the automobile industry, and rapid suburbanization in the middle of the 20th century, Detroit began to rapidly contract. The city’s population peaked at 1.85 million in 1950 and by 1970, it had dropped to 1.51 million. To prop up the ailing shopping district, the city renovated the Grand Meyer shopping district in 1984. The Sears, Roebuck & Company department store along Grand River near Oakman opened on June 13, 1928, 7 on the site of a former Detroit Lumber lumber yard and a used truck and parts business. 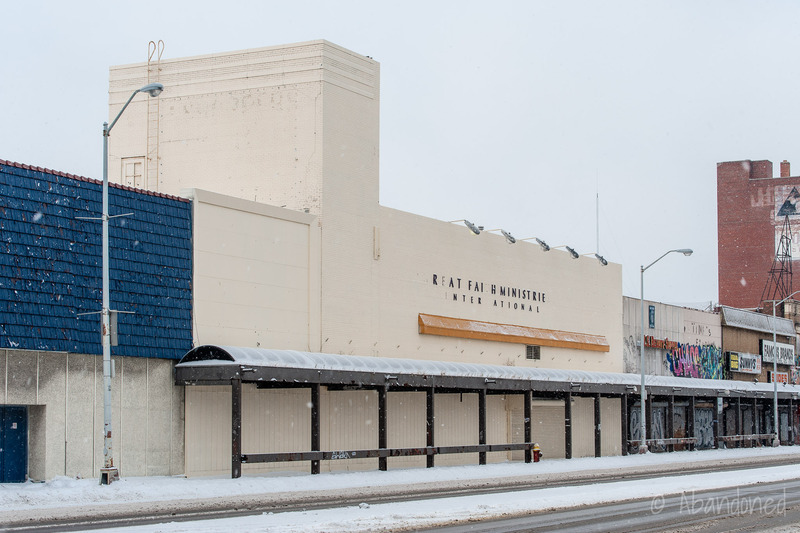 9 The two-story Art Deco styled store, with a 63-foot-high enclosed 60,000-gallon water tower for fire protection, was designed by the Nimmons, Carr & Wright of Chicago. 8 The first floor featured men’s and boys’ clothing, dry goods, silks, jewelry, and silverware, while the rear had a soda fountain and luncheonette. 7 Women’s wear and the infants’ goods were on the second floor, along with offices and a cashier’s office. The basement contained sporting goods, hardware, paints, electrical equipment, and automobile tires and accessories. 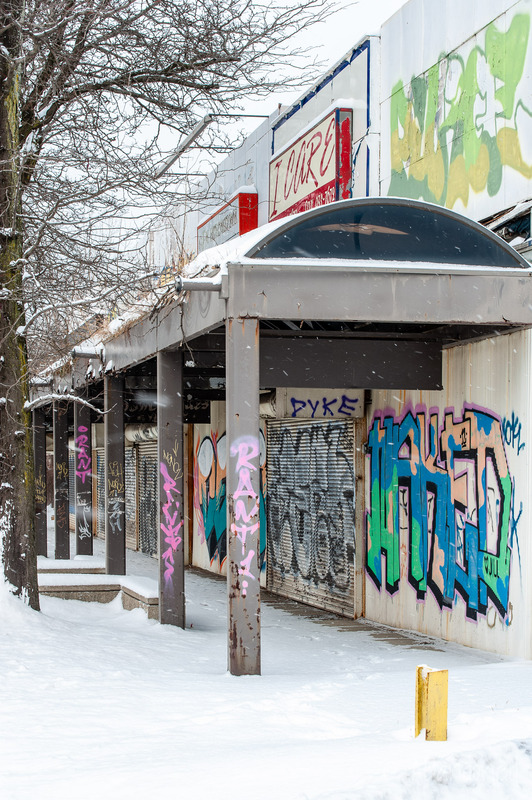 In 1976, the city proposed a $1 million plan to revive the ailing Grand River-Oakman shopping area with trees, benches, and a steel and plexiglass canopy over the sidewalks. 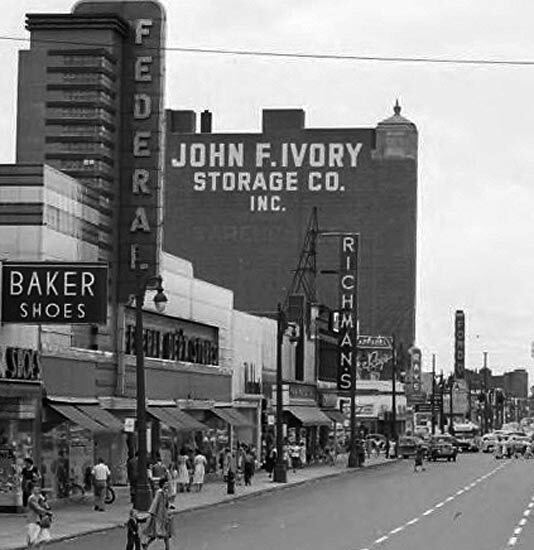 12 It would have included a pedestrian bridge over Grand River to connect the Sears with Federal’s. 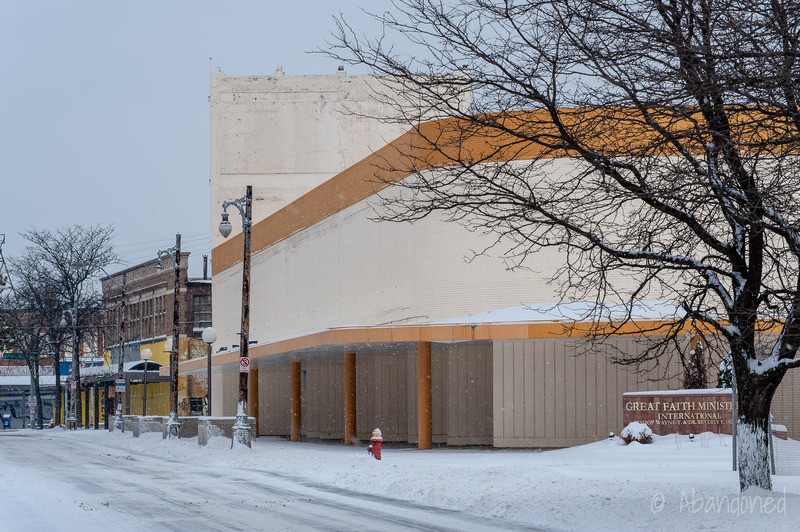 The closure of Sears put the project on hold. Former Federal’s along Grand River. 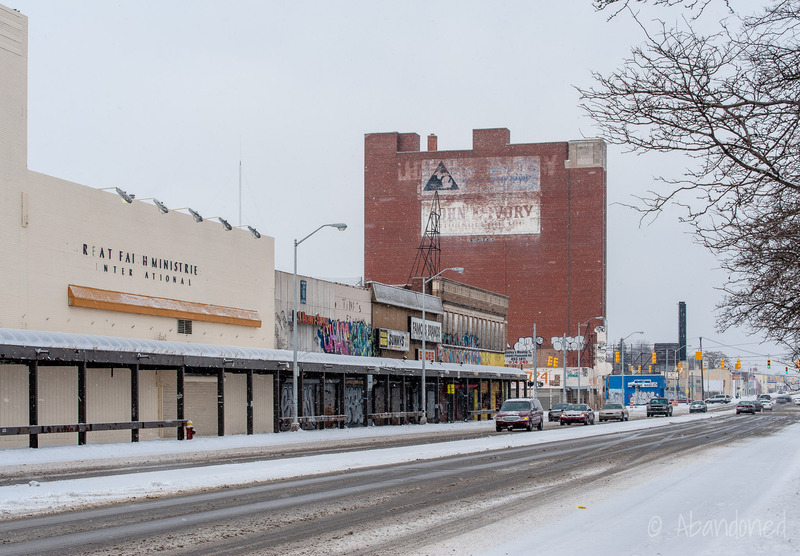 A view of the northeast corner of Oakman and Grand River. Along Grand River. 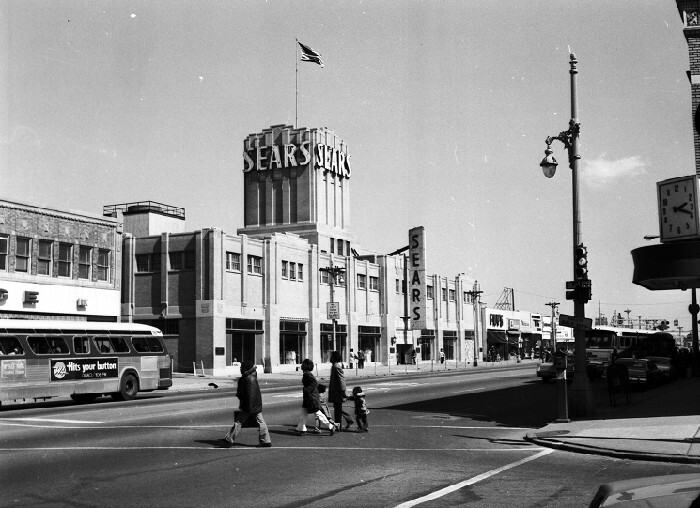 The former Sears was located in the center-left. 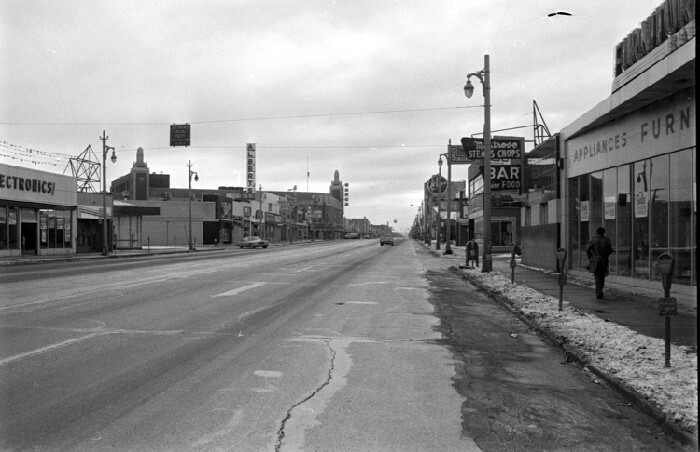 Along Grand River looking towards Oakman in 1977. Credit: Walter P. Reuther Library, Archives of Labor and Urban Affairs, Wayne State University. A view of the Federal’s along Grand River near Oakman. A view of Sears along Grand River in 1977. The building was later demolished. Credit: Walter P. Reuther Library, Archives of Labor and Urban Affairs, Wayne State University. 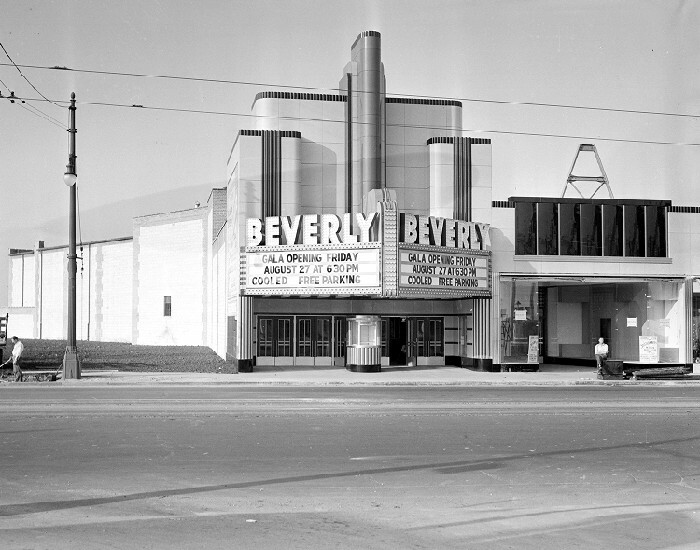 The Beverly Theater, on Grand River, was designed by Charles Agree and opened in 1937. It closed in 1964. Credit: Walter P. Reuther Library, Archives of Labor and Urban Affairs, Wayne State University. 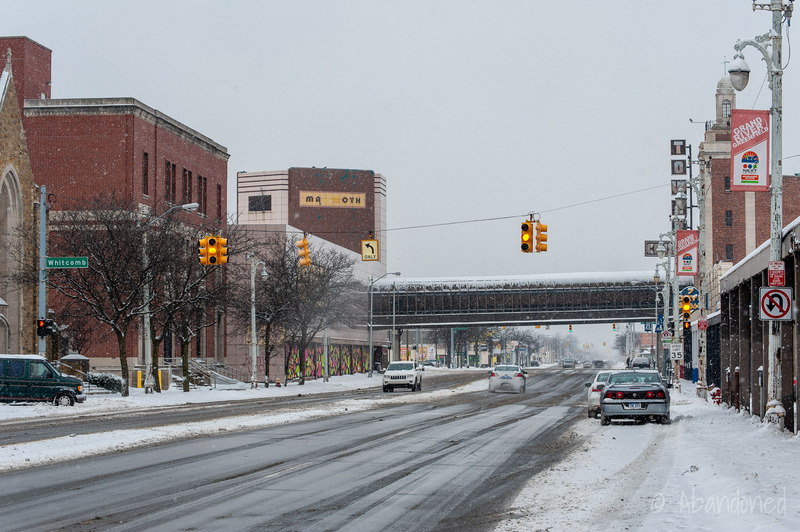 The Greenfield-Grand River neighborhood is centered around Grand River Avenue and Greenfield Road and borders a former shopping district along Grand River Avenue that included a Federal’s Department Store, Montgomery Ward, 3 and S.S. Kresge. 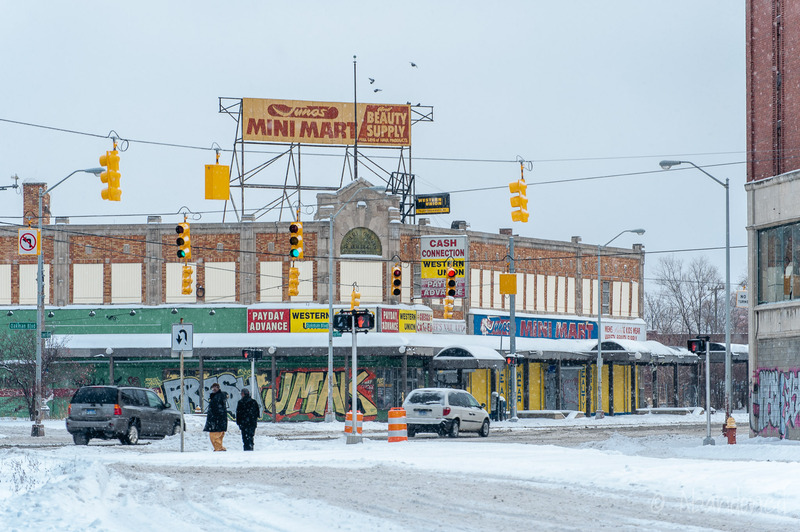 4 Due to racial tensions that cumulated in violent riots, industrial restructuring, the loss of thousands of jobs in the automobile industry, and rapid suburbanizationin the middle of the 20th century, Detroit began to rapidly contract. The city’s population peaked at 1.85 million in 1950 and by 1970, it had dropped to 1.51 million. By 1969, Federal’s was losing money and the company filed for bankruptcy in 1972. 1 Steven West commenced a hostile takeover of the Federal’s chain in 1977 and was successful in 1978. West dropped off the first two letters from Federal’s name, renaming most locations to Deral’s. The location at Grand River and Greenfield, however, became simply Ed’s, and part of the second floor became the corporate home to Ed’s and Deral’s. 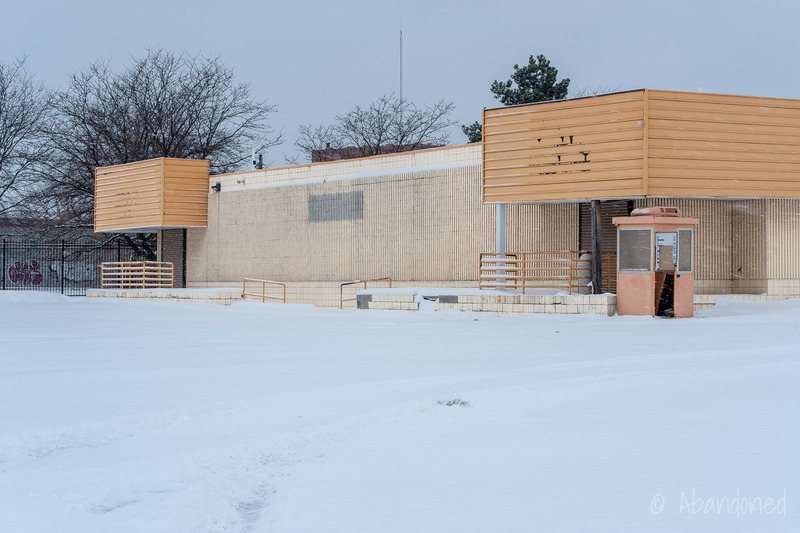 Ed’s only lasted until December 1980 when it abruptly closed after posting disappointing holiday sales. Kingsway Department Stores, a local chain that had established locations in marginal neighborhoods, acquired some former Federal’s locations. 1 In May 1981, Kingsway reopened the shuttered Ed’s. But by May 1987, Kingsway was looking to offload the money-losing Grand River location. Eventually, Kingsway went out of business in May 1990. 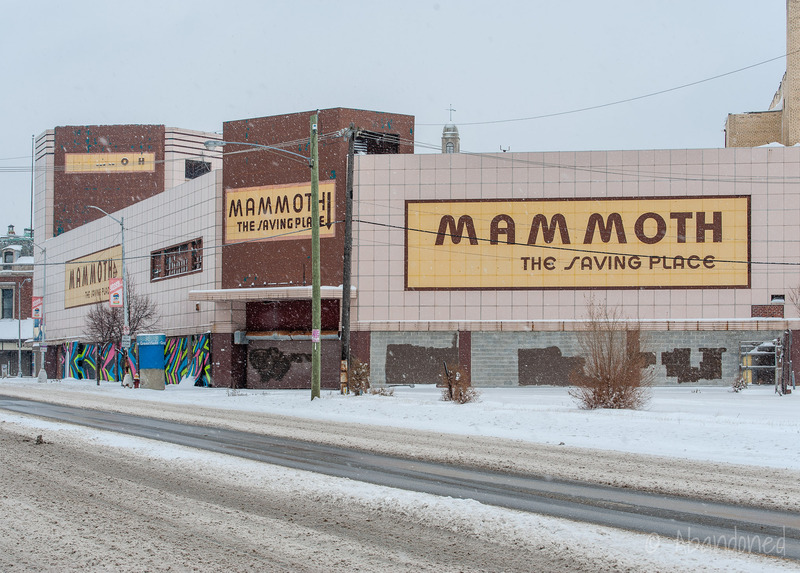 Mammoth, a concession shopping center, opened in the former Kingsway store on November 26, 1990. 1 2 The building was acquired for $805,000 in cash in August 1989 by six Korean merchants who had envisioned 100 merchants inside that would sell apparel, accessories, and staples. 2 The booths, which ranged from 250 square feet to 1,000 square-feet, rented to about 50 cents per square foot. Initially, only the first floor was utilized, with the goal of attracting 300 tenants over two floors. The store closed in 2000. 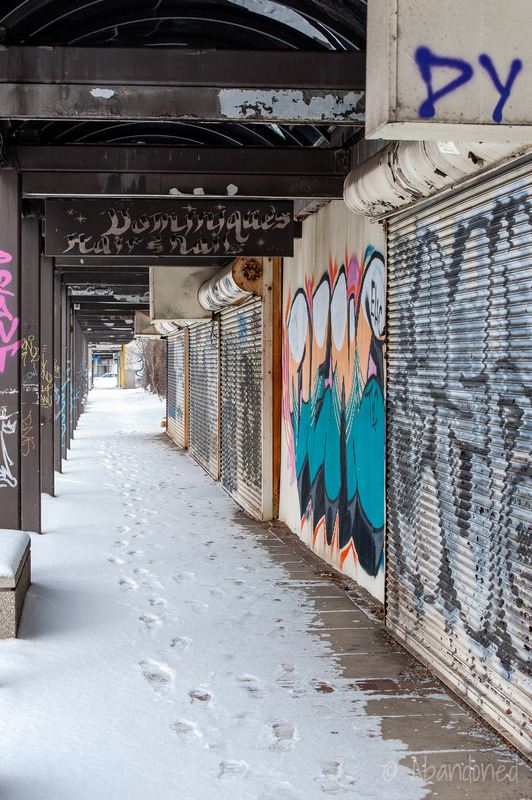 3 Plans to reopen the store as the Grand River Place mall, with 20 youth-oriented stores, were announced in 2003 by Herb Strather, but the idea never came to fruition. 1 3 Another idea, to reopen the building as Forman Mills, a discount retailer, never came to light in 2011. The ground was broken for the new $1.2 million Montgomery Ward on July 17, 1939. 6 The three-floor department store opened in 1940 and included an automobile service center and a 1,200-space parking lot. After Montgomery Ward closed in 1986, the building was reused for Tower Center Mall. 3 The shopping center comprised of a dozen tenants that included nail and hair braiding shops, fashion boutiques, and staples. 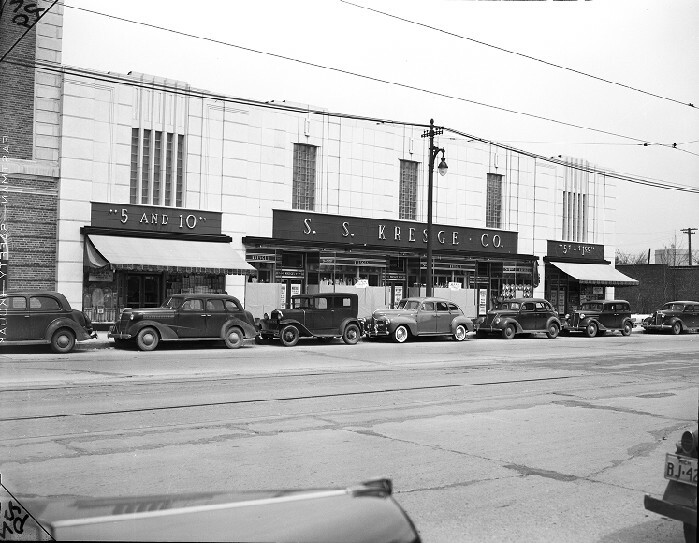 The S.S. Kresge discount store opened adjacent to Montgomery Ward on May 16, 1940. 4 The 16,500 square-foot Kresge, the largest in the chain, was spread between two floors. 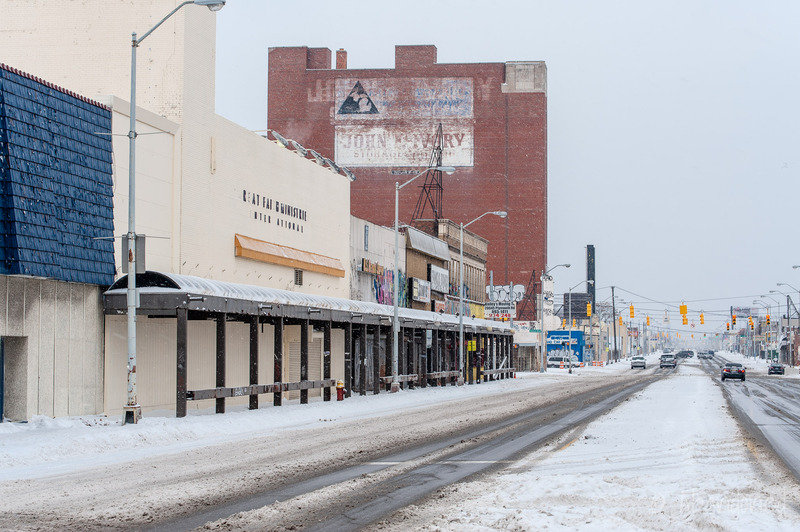 A wide view of the Grand River shopping corridor. A view of the former Montgomery Ward, now a Forman Mills. A corner view of Federal’s, which later became a Kingsway and then Monmoth. 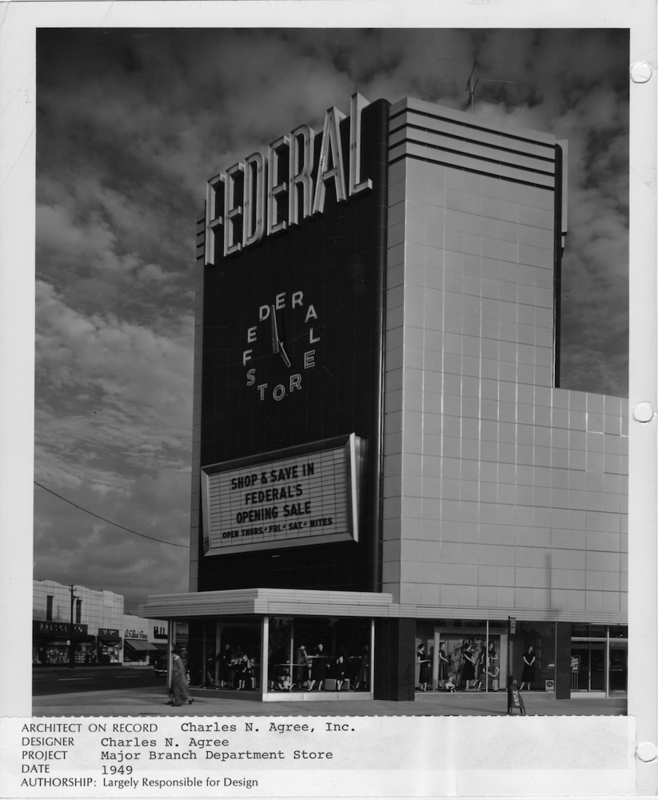 A view of Federal’s at opening. Credit: John S. Coburn. A view of Kresge along Grand River. Credit: Walter P. Reuther Library, Archives of Labor and Urban Affairs, Wayne State University. Wilson, Melinda. “Making it big in the city.” Detroit Free Press, 25 Nov. 1990. pp. 1D-3D. Reindl, JC. “Left for dead, little-known Detroit shopping mall is now coming back.” Detroit Free Press, 19 Oct. 2018. “New S.S. Kresge Store in Northwest Section of City.” Detroit Free Press, 9 May 1940, p. 22. “Mail Order Firm Buys Store Sites.” Detroit Free Press, 3 Jan. 1937, p. 13. $1,200,000 Building Planned by Store.” Detroit Free Press, 13 Jul. 1939, p. 5. “Sears, Roebuck Stores Open Tomorrow.” Detroit Free Press, 13 Jun. 1928, p. 15. 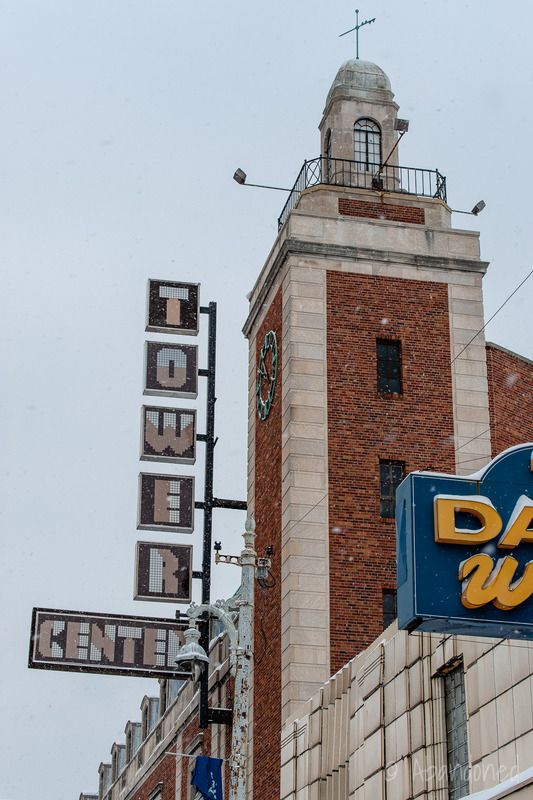 “Tower Holds Tank for Store’s Water.” Detroit Free Press, 13 Jun. 1928, p. 6. “18 Owners Held Detroit Sites.” Detroit Free Press, 13 Jun. 1928, p. 6. Watson, Susan. “Insurers drive hard bargin.” Detroit Free Press, 21 May 1979. p. 1. Cheyfitz, Kirk. “Sears will test new mall plan in Detroit.” Detroit Free Press, 6 Jun. 1978, p. 6B. Cheyfitz, Kirk. “Grand River Sears to become mall.” Detroit Free Press, 5 Jun. 1978, p. 1B. Ford, Andrea. “Money woes kill plans for Oakman Mall.” Detroit Free Press, 19 Oct. 1983, p. 1A-15A. Jackson, Luther. 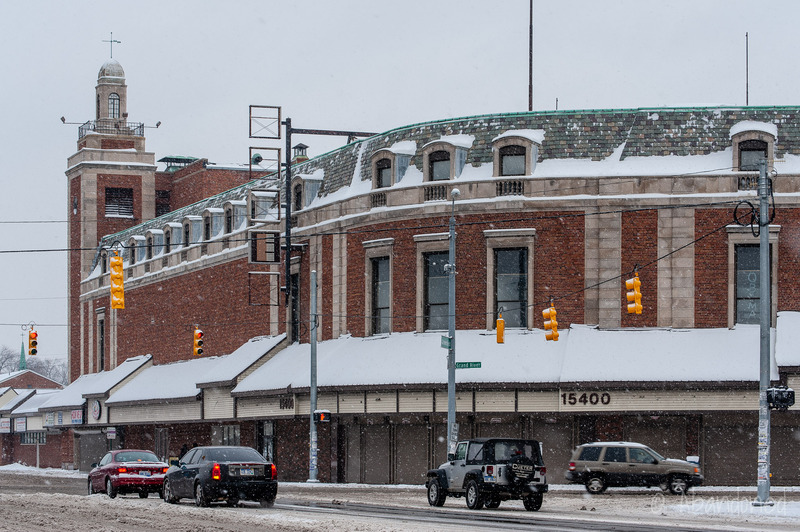 “Oakman Mall work could begin in September.” Detroit Free Press, 15 Jul. 1981, p. 1B. “New Life for Old Sears.” Detroit Free Press, 14 May 1980, p. 6D. “Coming Down.” Detroit Free Press, 8 Dec. 1983, p. 3A.